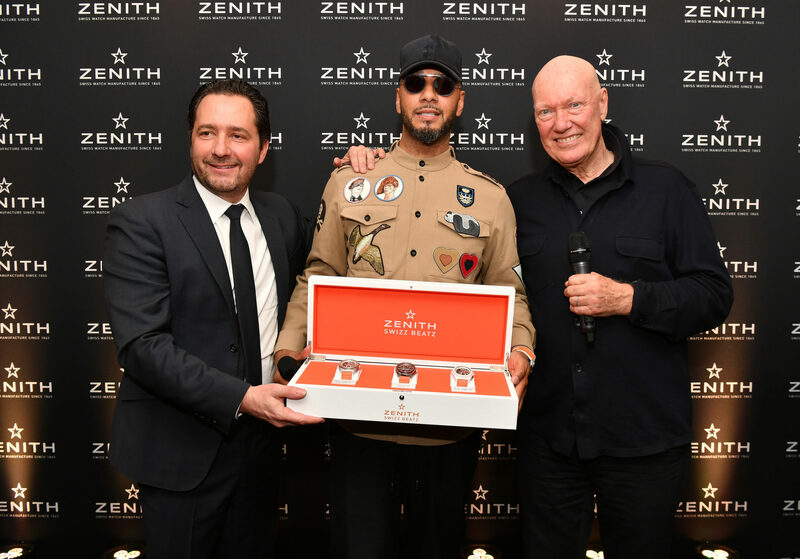 Zenith was starting to feel like the unloved distant cousin of TAG Heuer within the LVMH family when Julien Tornare took over as chief executive in May last year. Since that time, the business has unveiled a completely new way to regulate a mechanical movement, developed a startup mentality at the 153 year old maison, and set about cutting hundreds of retail partners from its worldwide network. The aim is to turn a watchmaker teetering on the edge of becoming a forgotten museum exhibit into a business fit for the 21st century, as WatchPro’s Rob Corder found out in conversation with the brand’s new boss. The Future of Tradition slogan was adopted in 2017 by Zenith, LVMH’s 153-year old watchmaking maison, as Jean-Claude Biver, CEO of TAG Heuer and president of the LVMH Group Watch Division, began a root and branch reform and re-positioning for the brand. “Whatever we do, we will always relate to yesterday and ask how we can make the same but with the mentality and technology of now. That is the future of tradition. If we are able to do that, we will be extraordinarily alone because most other brands repeat what they did before. They repeat tradition. That can also be good because there will always be a market for Mozart and not everybody appreciates rap music. But being the future of tradition, we will be unique, first and different. That is a position in the market that people can be proud of, and say, that is us,” Mr Biver described in conversation with WatchPro at Baselworld earlier this year. Julien Tornare and Jean-Claude Biver at Baselworld in 2018. The resurrection of Zenith began in earnest in May, 2017, with the appointment of Julien Tornare as its new chief executive. The Swiss-born executive has worked for over 22 years in the industry, early on in a sale role with Raymond Weil before moving to Vacheron Constantin where he was based in Geneva but managed sales across Northern Europe. He spent almost five years with Vacheron Constantin as president of North America before a short spell back in Switzerland with the brand and then six years running the Hong Kong office. It is probably this international experience that appealed to Mr Biver when he was looking for a new CEO for Zenith, particularly as the business has considerable potential to grow in both Asia and America. “Brand awareness is too weak in America. It is not an easy market for watch brands. I lived there for five years working for Vacheron Constantin, and I had to work very hard to teach them that Vacheron was not a cheese and Constantin is not a TV show. We have to be more visible with Zenith in the United States. There are so many clients there and so much wealth,” Mr Tornare suggests. His experience in Hong Kong was even more of an education. He moved there in 2011 at the height of what now looks like madness; a time when Swiss watchmakers thought they could charge almost any price for their watches. LVMH, and particularly Zenith, were less caught up in the wave of collective insanity, which might have cost the watchmaker market share at the time, but is now seen as an opportunity to build a sustainable business from a lower base. “Over the past 10 years, most of the Swiss watch business was driven by China and by Chinese customers. Many brands ran very fast into that market, with consequences of increasing prices so that they lost connection with local clientele — British, French, American, wherever — because we could not see that the price was getting too crazy. Zenith was never huge in China. That is the bad news. But the good news is, because of that, we have kept very good prices and value for money,” he recalls. “We are seeing many brands that raised their prices very high and kept their classic designs, are declining in China right now. Some of the more contemporary brands, such as Hublot, Richard Mille, AP, they are going up in China right now,” he adds. Which brings us back to The Future of Tradition. If you’re strategy is informed by the way younger Chinese customers and other millennials around the world buy watches, you tend to make more modern watches rather than clinging to what worked in the past. Zenith’s Defy 21 and Defy Lab are perfect examples, which are based on entirely new movements and, in the case of Defy Lab, a never-before-seen regulating architecture. The greatest innovation from Rolex in recent years has been in its manufacturing and engineering, which has improved the movements of its watches to such an extent that they can now be sold with a five year warranty and 72 hour power reserve. Zenith is slightly different. Rather than making the same watches better, as Rolex does, it is taking what it used to do well, but using the very latest technology to do it differently. “The challenge is how we talk like a 21st century brand. Being 153 years old does not mean you need to dress up like an old lady, we have to live in today’s world. That was the discussion I had with Mr Biver, and was totally in line with my thoughts,” Mr Tornare says. The strategy for developing entirely new technology, like the one hundredth of a second chronograph in 2017’s El Primero and the entirely new regulator architecture of the Defy Lab, was already well advanced when Mr Tornare became CEO last year. This signalled to him that Zenith was serious about change, and had recognised that change was essential for what was becoming a museum brand. “Before I came on board, I listened to many people, and what I heard was very much in line with my own feelings after 22 years in the industry. It was a famous brand, a fantastic name, a gorgeous history, but I heard a lot about a sleeping beauty. I even heard that the brand was a bit boring, so we need to make it shine. We need to communicate what is behind the brand. Also, I am one of the people who is totally convinced — and I can say this because I am from Switzerland — that the Swiss watchmaking industry has a tendency to look backwards and to be stuck in its history. We forget that a living industry and a living brand always has to move forwards. If you don’t, in today’s fast-changing world, we will become a museum industry and a museum brand; I do not want that,” Mr Tornare insists. To the watch buying public, the changes at Zenith will be mainly about shiny new products like the El Primero 21 and the Defy 21, at the same time retail partners will feel the fresh business thinking that is being brought to the company. 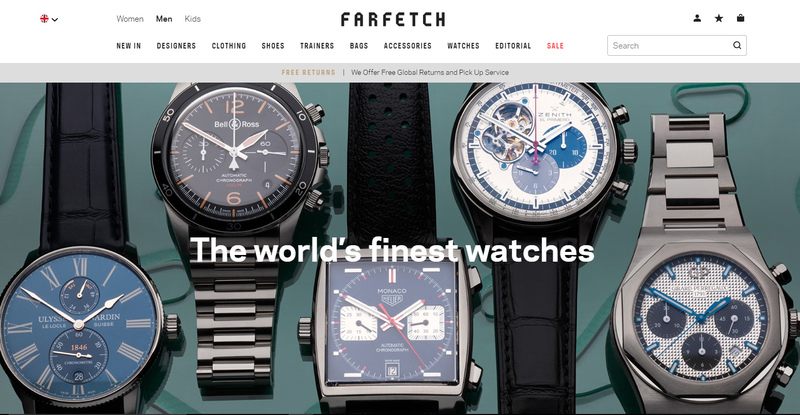 Zenith is among a clutch of Swiss watchmakers that will be sold via a fine jewellery and watch department at Farfetch, a global digital technology platform for luxury fashion. The aim of the partnership is to reach a new global audience in untapped parts of the globe for Zenith. One of the first problems was a mishmash of product. At its peak the watchmaker had over 800 SKUs, and even when Mr Tornare joined it still had 170. This year there are closer to 100 SKUs. “We are keeping bestsellers, we are keeping pieces that are turning fast, not slow-movers,” he promises. Those 100 SKUs are also organised into distinct product families that are much easier for retailers and customers to understand, and will be developed over time into increasingly distinct collections. Distribution is also being streamlined. Mr Tornare — who is clearly a man with a good head for figures — says that Zenith had 841 doors worldwide when he joined the company. That was cut to 714 by the end of 2017, and will be gradually tapered to around 500 in the coming year. The aim is for the remaining partners to have stronger Zenith sales and profits. He would not be drawn on which retail partners in North America would retain their status. 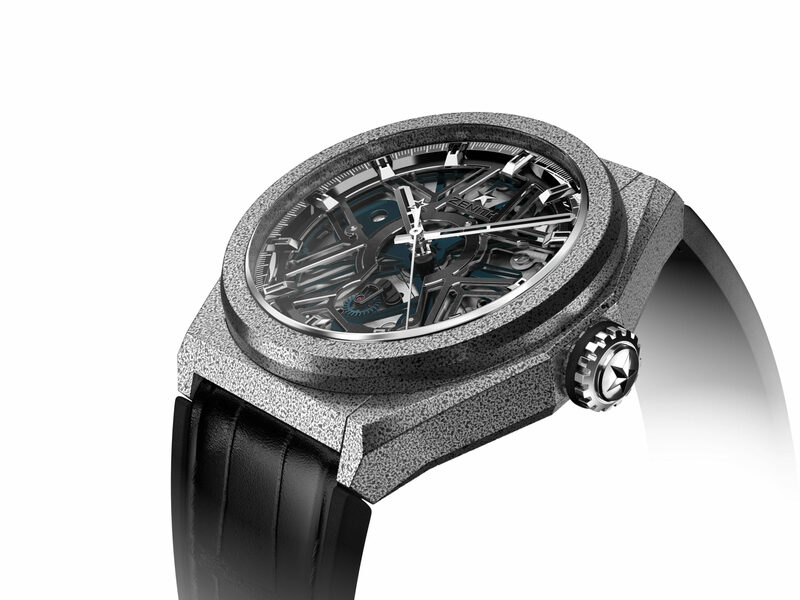 Zenith will continue to be the most innovative movement maker in the LVMH stable, and added to that reputation last year with the Defy Lab, which has an entirely new type of oscillator invented by Guy Sémon, CEO of the Science Institute LVMH. The movement challenges nothing less than the operating principle of mechanical watches invented by Christian Huygens in the 17th century, according to Zenith. Its oscillator is made from a single membrane of monocrystalline silicon that replaces the sprung balance. The 30 or so components of a standard regulating organ, which requires assembly, adjustment, timing, testing and lubrication, are thus replaced by a single element measuring just 0.5 mm thick rather than the usual 5mm. This new oscillator maintains the same degree of precision for 95% of its power reserve, unlike traditional movements that tend to lose time as they reach the end of their power reserves. The first watches using the movement were launched at Zenith’s headquarters in September last year. Only ten were made, all of which had been pre-sold.